Atlanta General and Bariatric Surgery Center surgeons, Dr. Christopher J. Hart, Dr. William H. Johnson, and Dr. Michael Williams are board certified in laparoscopic general surgery and offer patients the knowledge, expertise and compassion that come with their advanced training and many years in practice. The team performs a variety of laparoscopic general surgeries including procedures for hernia, gallbladder, fundoplication, gastroesophageal, and bariatric surgery. AGBSC is the first and only free standing comprehensive general surgery center in Johns Creek. The state-of-the-art surgery center is owned by Dr. Christopher Hart, Dr. William Johnson and Dr. Michael Williams who have been committed to serving the area since 2001. 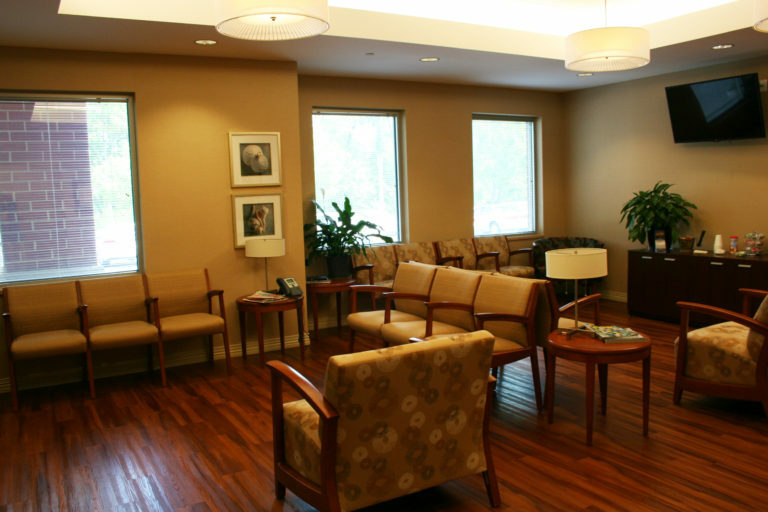 The surgery center is designed to provide extraordinary outpatient surgical care in a relaxed, personal atmosphere. Our surgery center is staffed by an experienced team of professionals selected for their expertise in caring for patients undergoing outpatient surgery. Our team includes board certified anesthesiologists and nurses who hold special certification in key areas of cardiac life support, post anesthesia recovery, and ambulatory peri-anesthesia. The center maintains a high nurse-to-patient ratio and all staff members are skilled in the latest surgical procedures and use of our state-of-the-art medical equipment. Read more to learn about our expert surgeons. Atlanta General and Bariatric Surgical Center has been certified as a Metabolic and Bariatric Surgery Accreditation and Quality Improvement Program (MBSAQIP). MBSAQIP works to advance safe, high-quality care for bariatric surgical patients through the accreditation of bariatric surgical centers. A bariatric surgical center achieves accreditation following a rigorous review process during which it proves that it can maintain certain physical resources, human resources, and standards of practice. All accredited centers report their outcomes to the MBSAQIP database. Patients who have their surgery performed at a certified MBSAQIP surgical center can be assured that they have met the high standards required of their certification. AAAHC accreditation means that the surgery center participates in on-going self evaluation, peer review and education to continuously improve its care and services. The surgery center also commits to a thorough, on-site survey by AAAHC surveyors, who are health care professionals, at least every three years. The AAAHC Certificate of Accreditation is widely recognized as a symbol of quality by third party payers, medical organizations, liability insurance companies, state and federal agencies and the public. Atlanta General and Bariatric Surgery Center is a licensed facility by the State of Georgia and hold it’s accreditation through AAAHC and MBSAQIP. Clinical Excellence – Because attention is focused on quality care and patient safety, AGBSC is able to outperform a hospital when it comes to clinical outcomes and patient satisfaction. Better Value – For patients paying out of pocket, AGBSC can save you substantial money. We strive to provide the best surgical experience possible at a lower cost to patients. Also, patients don’t have to wait to see the savings; in an effort to make pricing more transparent, cost information is generally available to patients prior to surgery. Reduced Infection Rate – With a cross-infection rate of less than 0.1%, our patients are able to heal quickly and get back to their lives. 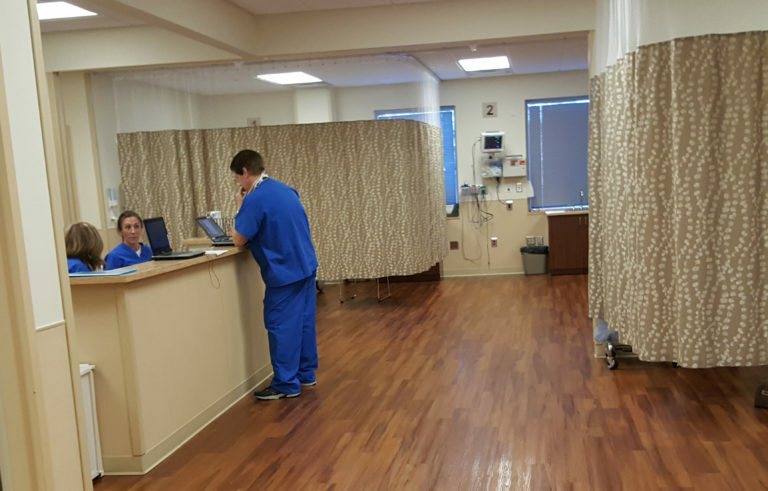 One-on-One Nursing Care – Being smaller than an acute-care hospital allows us to really tend to our patients, giving them a relaxed, friendly environment to rest in and recuperate. Because of our surgery schedule, we know exactly how many staff members we need to serve our patients each day. Never being understaffed means we can truly focus on our patients. In a recent study conducted by Healthcare Bluebook, Ambulatory Surgery Center Association and Health Smart, found that healthcare costs are reduced by more than $38 billion per year due to the availability of ambulatory surgery centers (ASCs) as an appropriate setting for outpatient procedures. More than $5 billion of the cost reduction accrues to the patient through lower deductible and coinsurance payments. This cost reduction is driven by the fact that, in general, ASC prices are significantly lower than hospital outpatient department (HOPD) prices for the same procedure in all markets, regardless of payer. When faced with needing surgery it’s important to consider all of your options. There are numerous benefits to having surgery in an outpatient ambulatory surgical center like Atlanta General and Bariatric Surgery Center (AGBSC). Our surgery center is located in Johns Creek, GA, and serves patients from all over the Metro Atlanta area and beyond as well as patients from out of state. Our board certified surgeons provide a carefully structured general surgery and weight loss program for all patients in a comfortable, caring and less stressful environment.